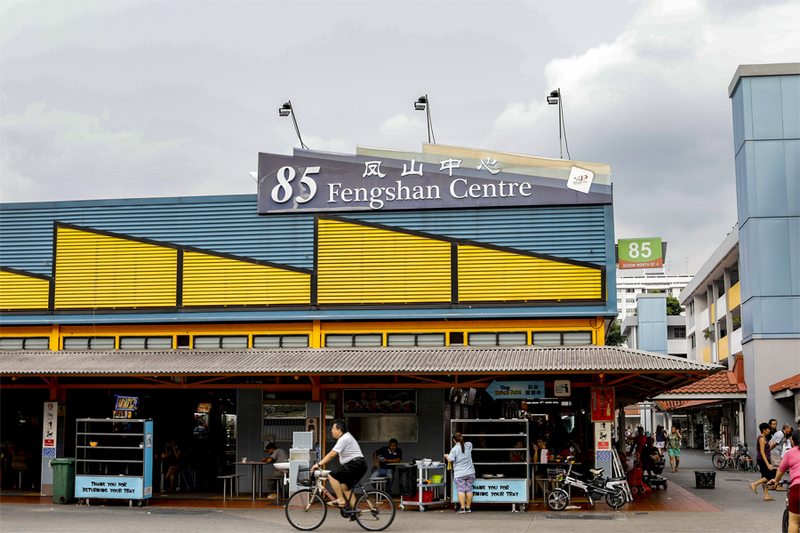 The taste of Fengshan is heavenly – this, many will know. 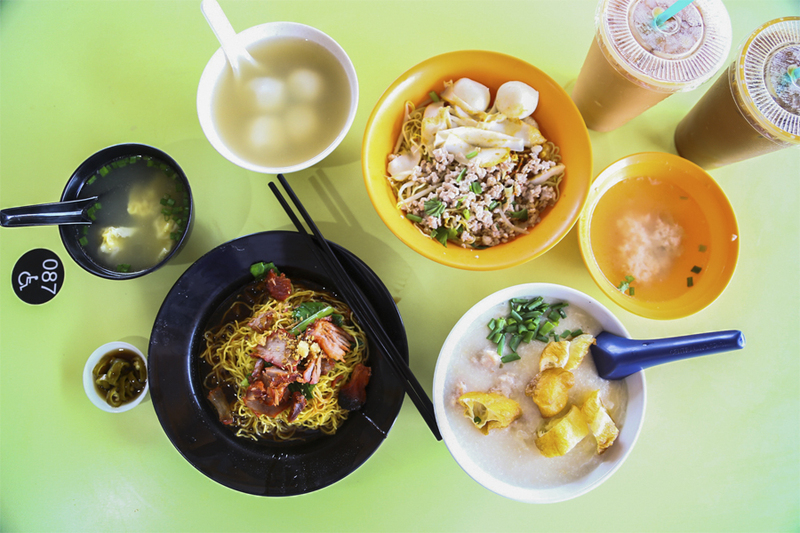 Ask anyone where to find the best soup version of Bak Chor Mee, and many will say Bedok 85 Market. 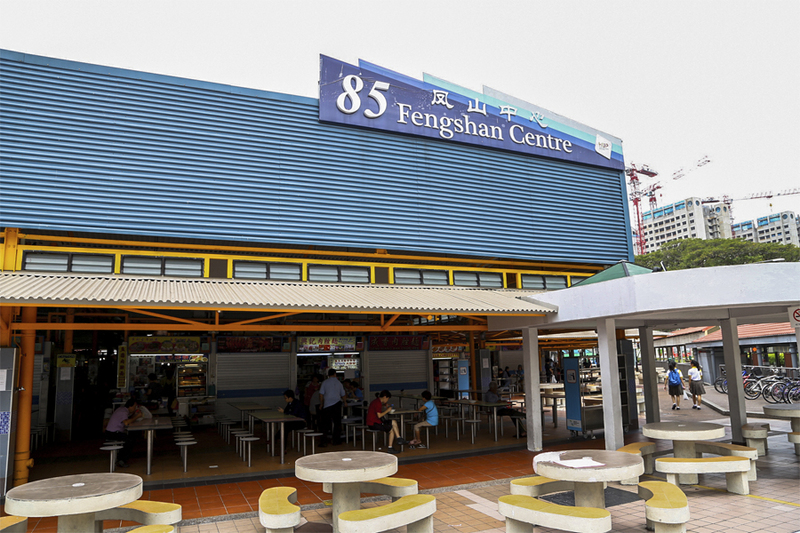 Located at 85 Bedok North Street 4, Fengshan Market & Food Centre is better known as “Bedok 85”. 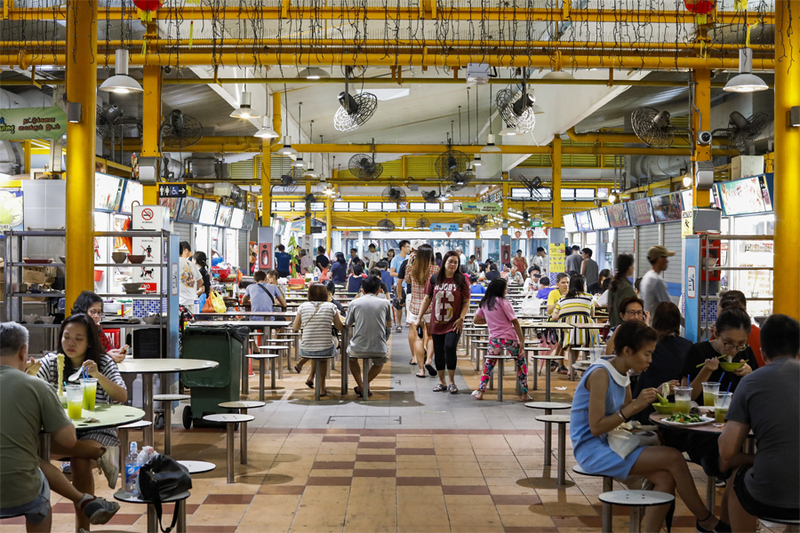 The hawker centre is a go-to place for supper, bustling with Singaporeans from all walks of life as the stalls open till late. 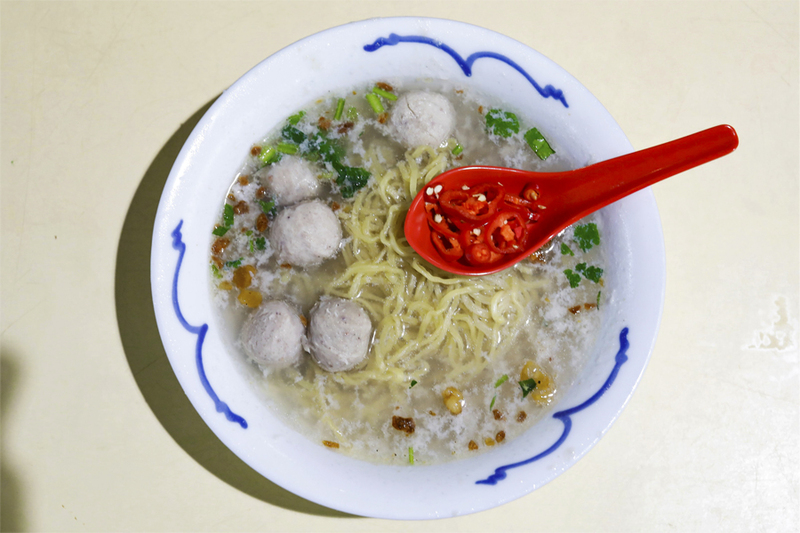 Supper-goers typically travel for Xi Ji Rou Cuo Mian or Seng Hiang Bak Chor Mee, known for their soup version of the local Bak Chor Mee added with minced pork, meatballs and sliced chills. 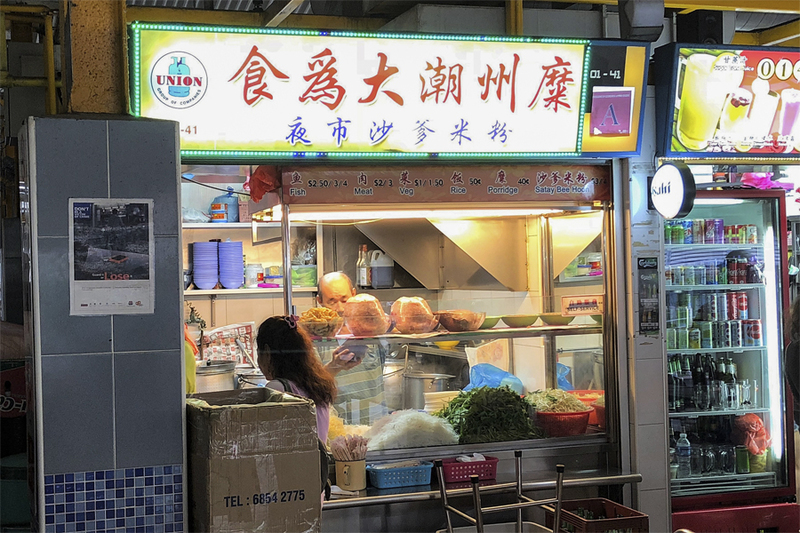 Shi Wei Da awarded the Michelin Bib Gourmand, Chan BBQ, Chong Pang Huat, and Bedok 85 Fried Oyster Omelette are some of the other famous stalls. However, there are actually several good stalls that are opened during the day, and we thought you know about them. 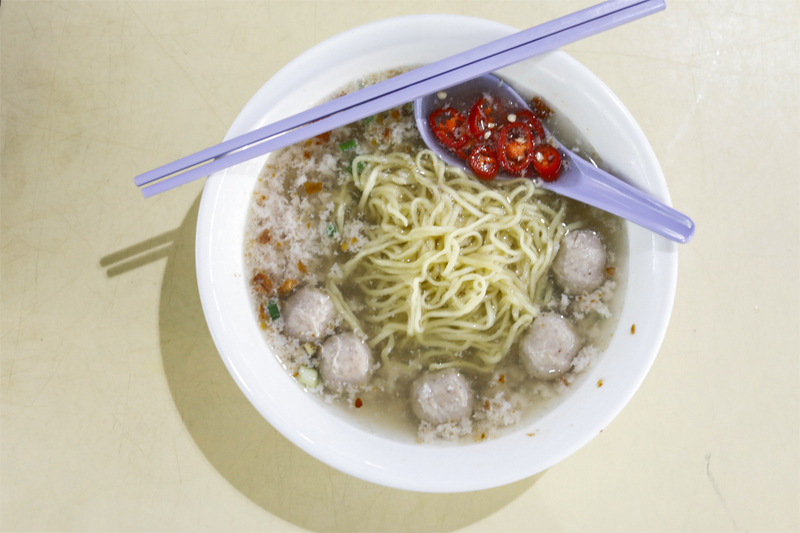 You do not get many stalls selling this particular soup-style of Bak Chor Mee aka Minced Pork Noodles in other parts of Singapore, but only around Bedok. 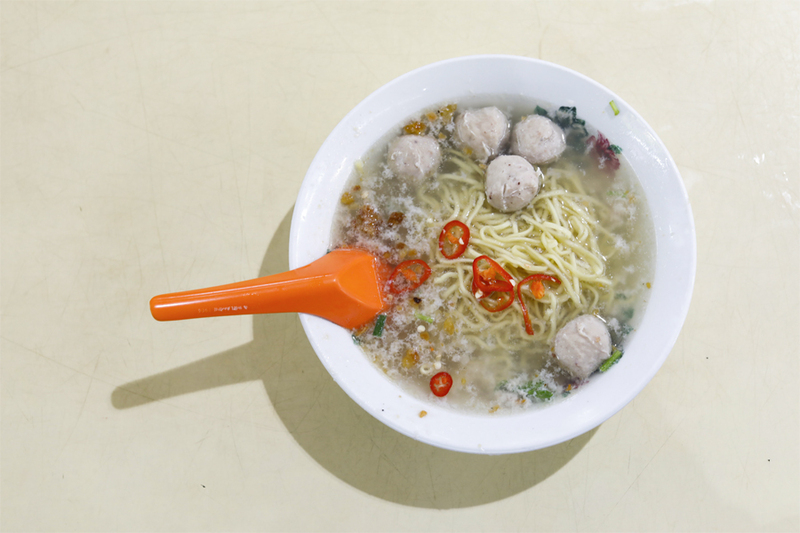 The OG of it all is Xing Ji Rou Cuo Mian 兴记肉脞面 at Bedok 85 Fengshan Market & Food Centre. Look at the stall on the left, with white bowls and floral patterns, orange chopsticks. The noodles had a pleasurable, springy QQ texture with an al-dente-like bite, that would go so well with the soup. Well, there was a mild alkaline taste that I wasn’t too bothered at all. The draw to me was the clear soup – it looked deceivingly light but was really flavoursome. It had that interesting sweet tinge. You would find finely-grinded minced meat floating around or hidden beneath the noodles. 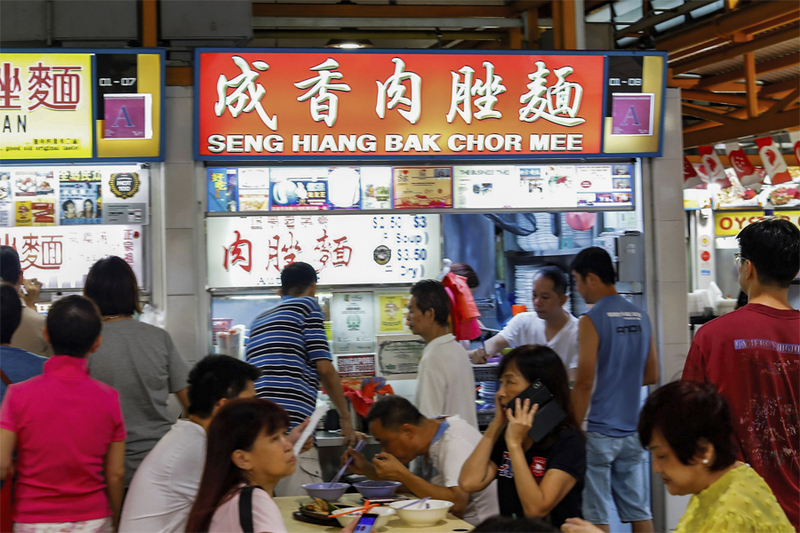 Seng Hiang Bak Chor Mee stall, which is on the right side on Xing Ji Rou Cuo Mian, also stands out for its delectably divine, soupy bowl of Bak Chor Mee. This is another great stall to visit when you are craving for a hot bowl of satisfying comfort food at the late hours of night. The difference is, they have both the dry and soupy version of the dish. 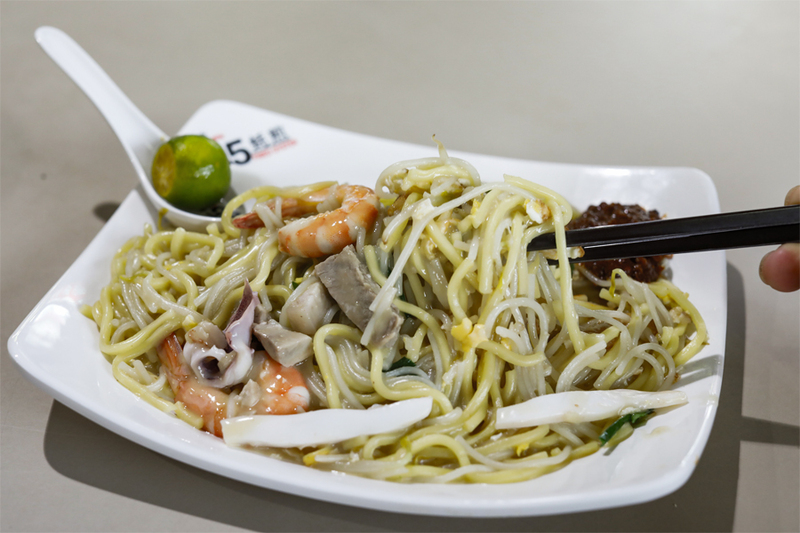 Their Soup Bak Chor Mee ($2.50, $3) had well-cooked noodles without a strong alkaline taste of the usual egg noodles. The broth had balanced seasoning and with fatty minced pork and lard to provide quite a pleasant dining experience. This had a stronger garlic taste. Between the two stalls, I think Xing Ji had a more layered broth, but of course both stalls have their fans. 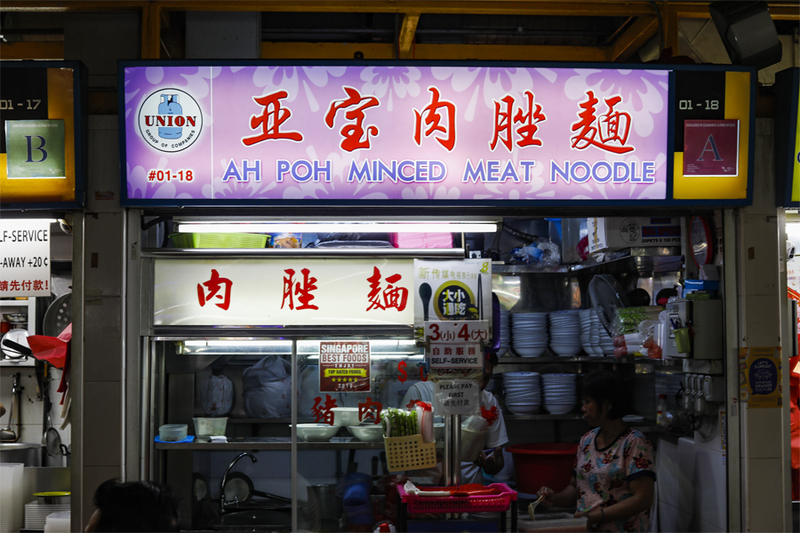 Ah Poh Minced Meat Noodle stall is where you can get your late night Bak Chor Mee fix. I hear they are also set up by the family of Seng Hiang Bak Chor Mee. 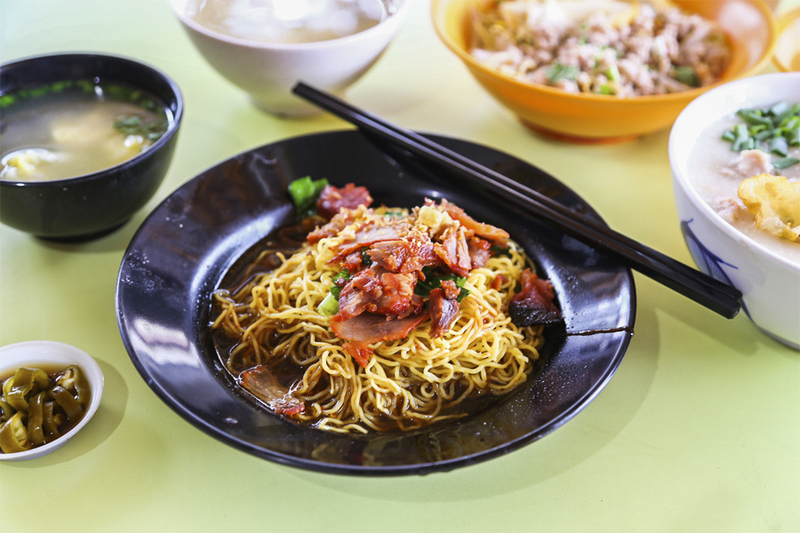 Their Bak Chor Mee ($3, $4) is simple and minimalistic, prepared with the standard seasoning and ingredients. The sweet pork stock works as a light base for the springy egg noodles and tender, fatty minced pork. The bowl is topped off with fried garlic, pork lard and spring onions. Between the 3 bowls, this is a personally a less impressionable choice in terms of the soup – though I think it still has its fans. I enjoyed how delightfully soft the meatballs were. 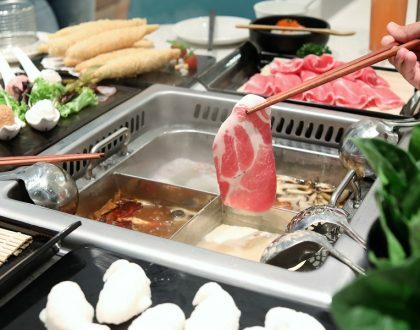 Shi Wei Da 食为大 was recently awarded the Michelin Bib Gourmand in Singapore. 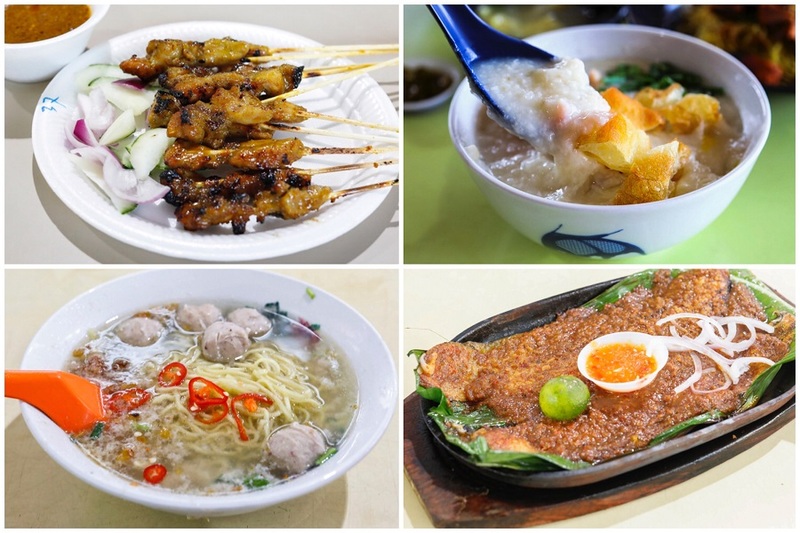 This stall serves up Teochew Porridge in the daytime, and the famed Satay Beehoon from 5pm till midnight. Price is very affordable, at $3 and $4, so it is not difficult finding a long line here even before the stall opens. This was one of the best Satay Beehoon sauces I had, which was rich, unique and tasty – with layered flavours of savoury, sweet and only a tinge of spiciness. 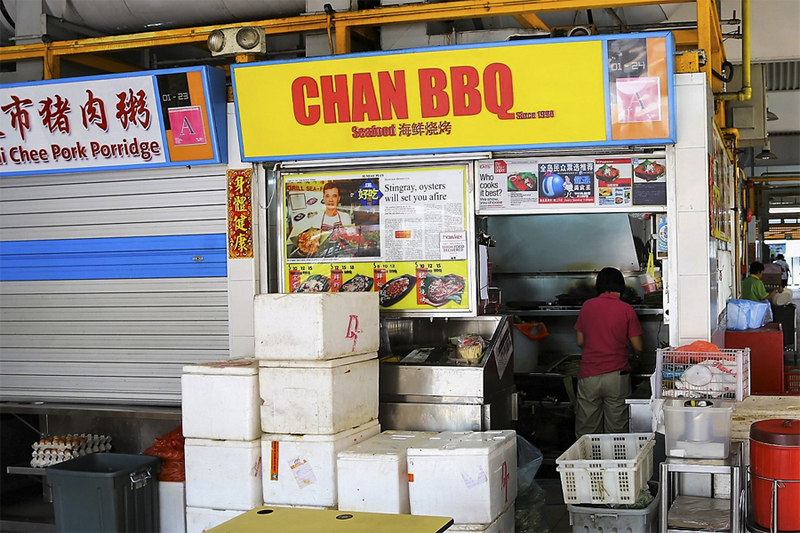 Chan BBQ is supposedly famous for its Sambal Stingray. Although the stall has quite a wide variety of options such as Crayfish ($18) and Sambal Lala ($12), a hot plate of their signature dish is the recommended for first-timers. 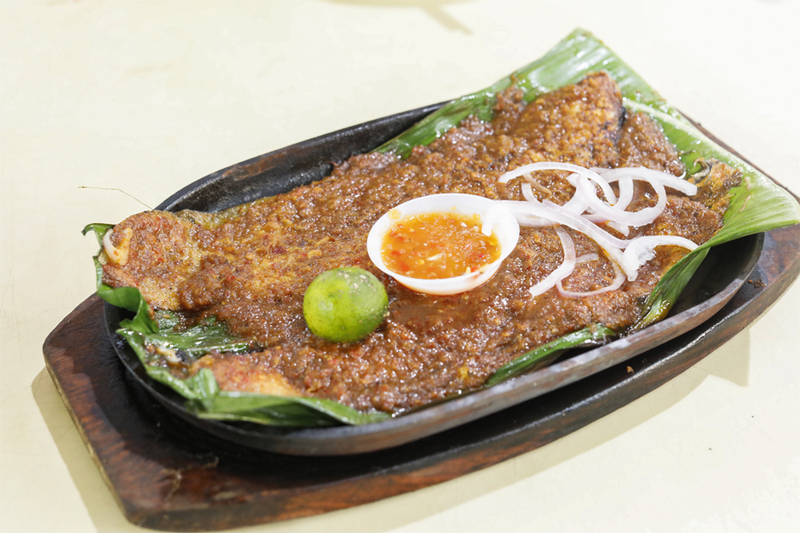 The Sambal Stingray ($12) is served on banana leaf which enhances the aroma, topped with generous amounts of chili served sizzling hot. The chilli had a good balance of sweet-tangy-spiciness, though I wasn’t THAT impressed with the stingray and wished it was moister and juicier. Enjoy char-licious meat satay. 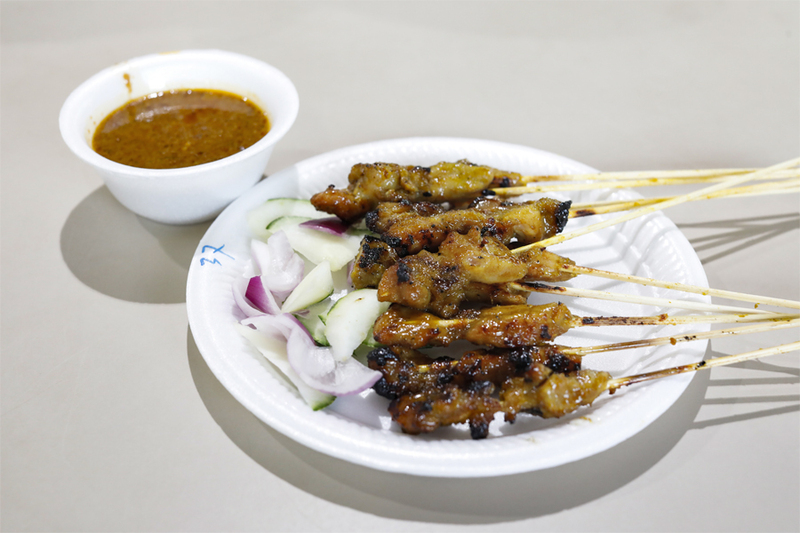 Lin Yuan Satay serves up chicken, mutton and pork satay, all priced at 60 cents per stick. 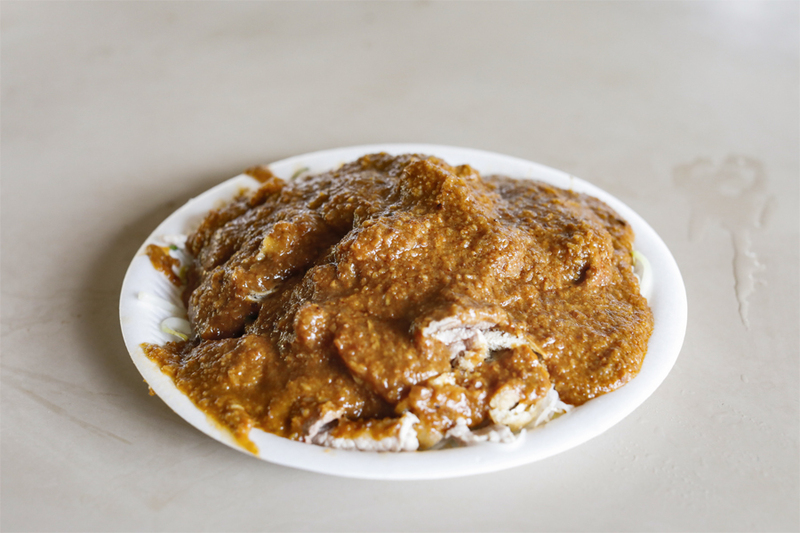 Rice (ketupat) is also priced at 60 sec. The service is quite decent and considered the sticks are grilled on the spot, the plate arrived quite fast. The pork satay was nicely grilled with a good meat to fats proportion, packed with flavors with honeyed marinating sauce. The meat was tender, towards the sweetish side, best dipped in the thick peanut sauce. 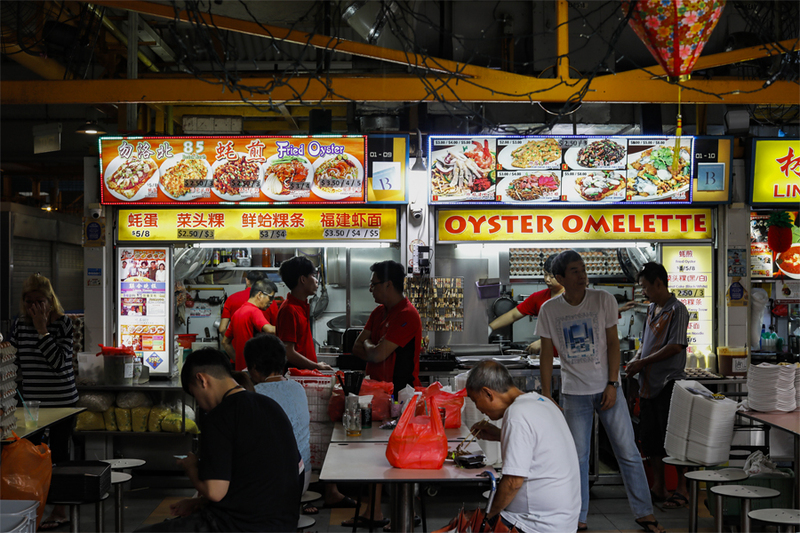 One of the busiest stalls at Fengshan Market and Food Centre, this fried oyster place gets never-ending orders up till late at night. 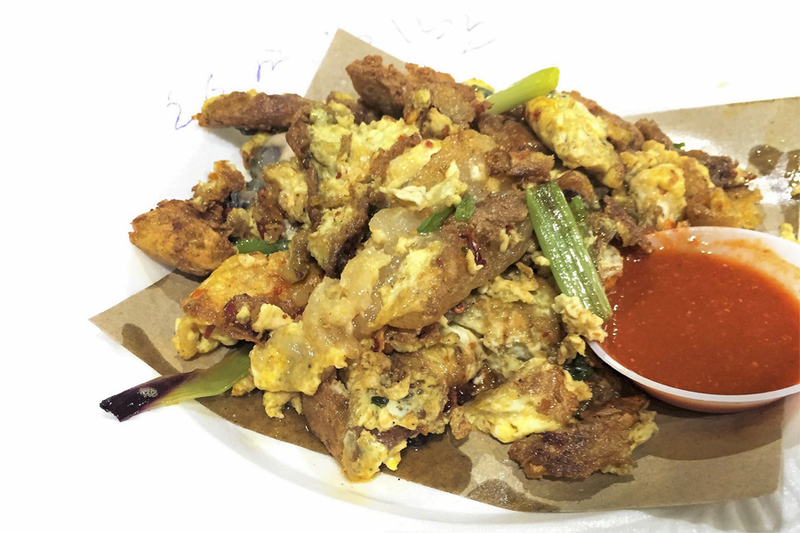 The Orh Luak or Fried Oysters ($5.00 for a medium) is visually rich in colours, featuring plump oysters and eggs that are part crisp and part fluffy, and topped with some fresh Chinese parsley. 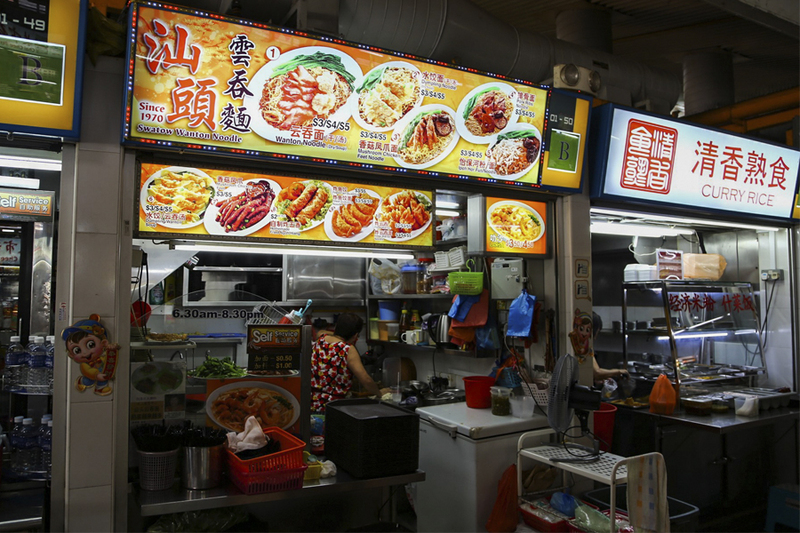 The stall is awarded a “Michelin Plate”, but to be honest, I think there are better Orh Luak stalls around. 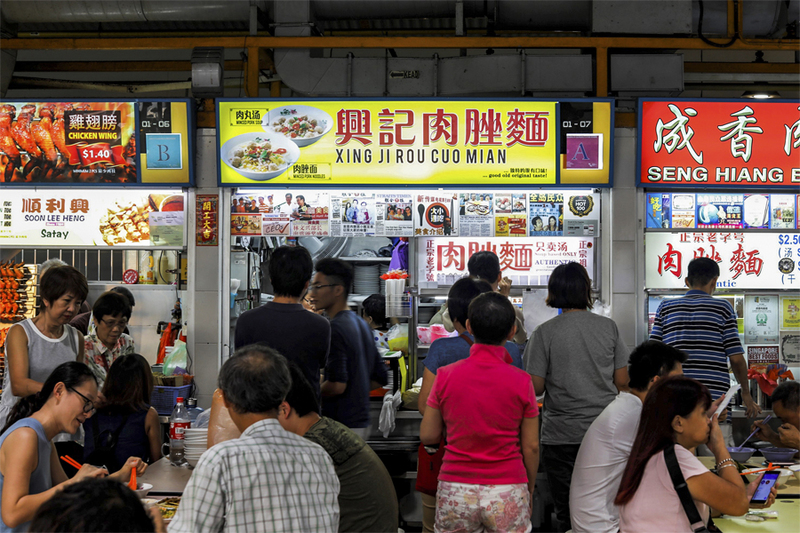 Although the stall is known for their fried oysters, they also serve Char Kway Teow with fresh cockles ($3, $4), Carrot Cake ($2.50, $3) and Fried Hokkien Noodles ($3.50, $4, $5). I had the Hokkien Mee which was decent, but could do with more wok-hei and tastier flavours overall. 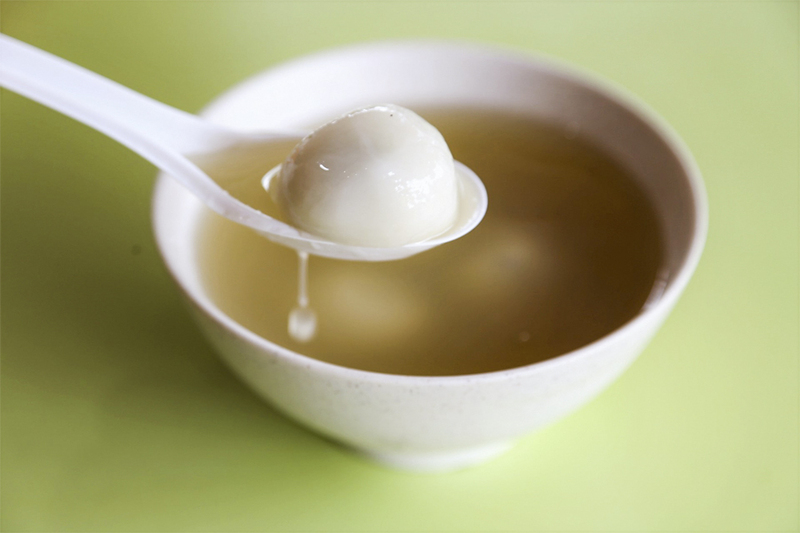 Nothing beats the traditional glutinous rice balls in rich soup after a long day. 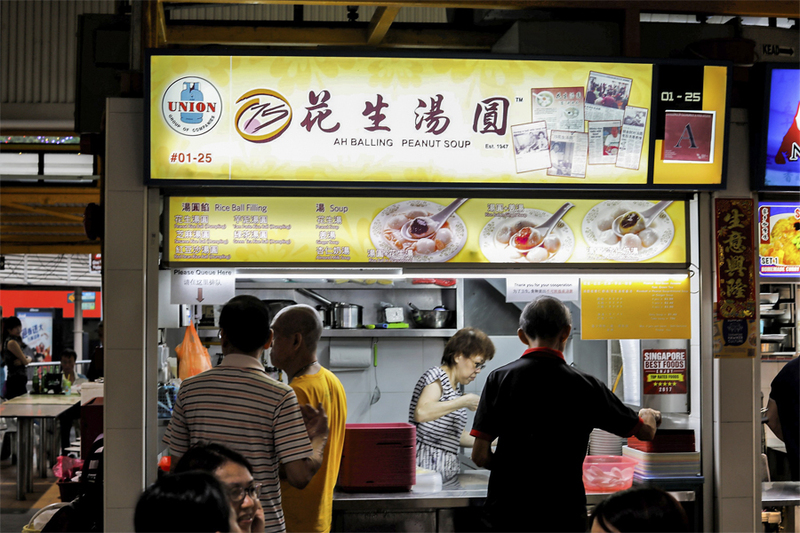 This is a famous dessert in Singapore, and this stall is quite noteworthy. 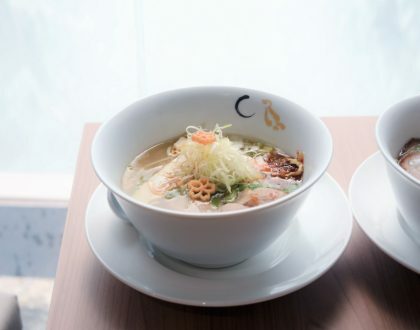 It offers peanut, almond milk and ginger soup bases, with glutinous rice balls filled with peanut, red bean, yam, green tea and black sesame. For dessert we ordered Sesame Paste Ah Balling in Ginger Soup ($2.40 for 4 pcs). I felt there wasn’t enough sesame paste in the Ah Balling, and while the skin was bouncy and soft, it was slightly thick. However, the ginger soup was refreshing, and overall still a refreshing bowl of dessert. 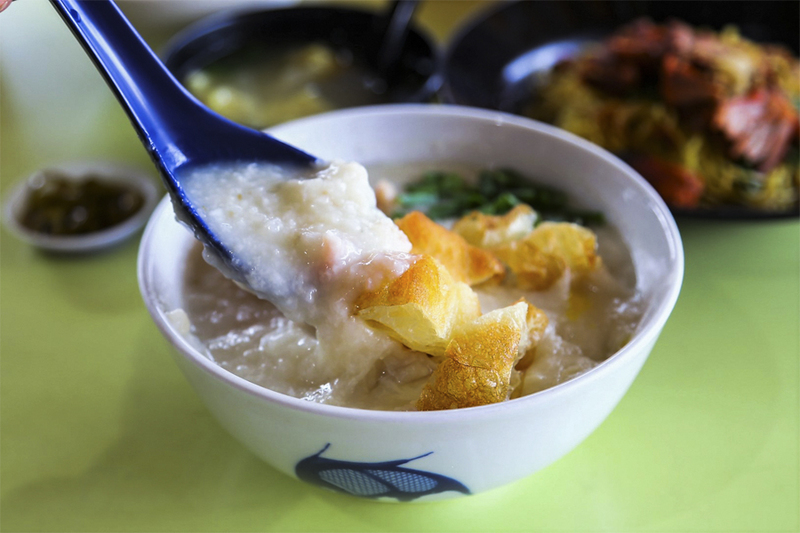 Pork Porridge is real comfort food for me, and I would crave for a bowl once in a while. 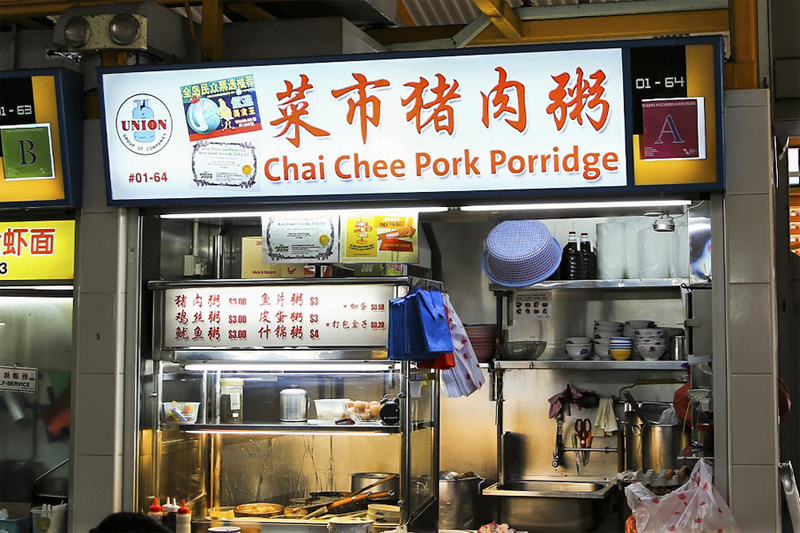 Chai Chee Pork Porridge is one of those stalls that you would usually find people queuing at the market. In fact, they are so popular that they have 2 stalls – one which they open in the day, and the other at night till late. The earlier stall becomes a preparation stall for the night stall. The Pork Porridge ($3.00) was cooked until it is thick and smooth with an almost gluey texture filled with yummy minced pork and lean pork meat, topped with you tiao and spring onions. Such a bowl of happiness. I was pleasantly surprised by the Swatow Wanton Mee ($3.00), established since 1970 and cooked by Teochews. The mee was springy with a nice chilli paste sauce that gave the noodle a real kick. The barbecued char siew was serviceable; and I just wished they had given a few more pieces. The real winner was the wonton as the filling had little pieces of salted fish mixed into the pork, which turned the dumplings into little umami bombs when you bite into them. * Written by Benjamin Chia and Daniel Ang @DanielFoodDiary. Benjamin has been using a wheelchair since young. Despite the challenges, he has never let it stopped him from enjoying life. One of the most enjoyable things to him is to eat and share about GOOD FOOD. 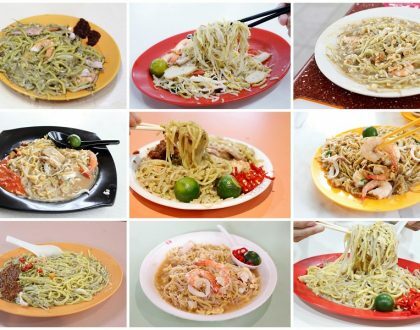 Saw the Q at the Satay Bee Hoon and tried once. The price was reasonable but decided to remove it from my list due to either the food or service quality. Didn’t realize that they were recently awarded the Michelin Bib Gourmand in Singapore. Personally feel that it is not really that fantastic actually. 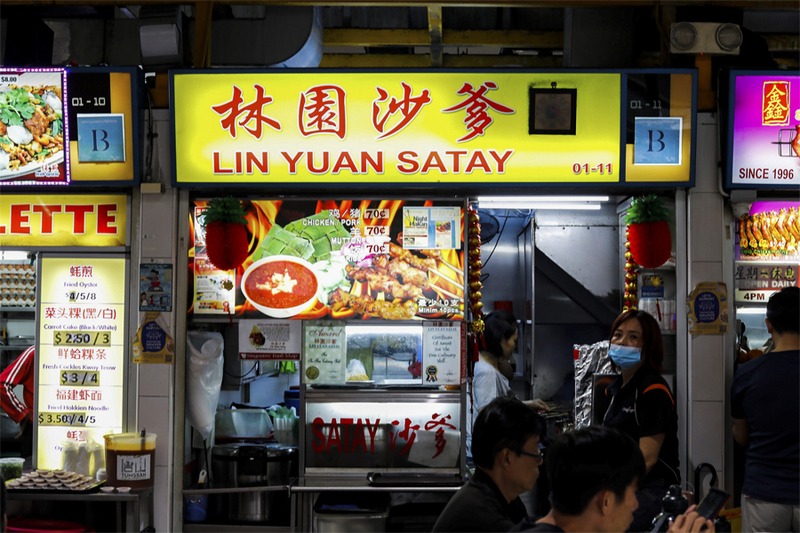 Why promote only Yuan Lin Satay, which is really good, but not the Chicken wings next to them? They are the must have items in my gatherings.